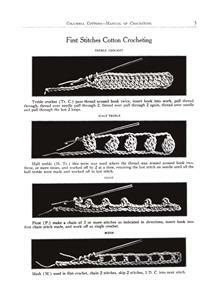 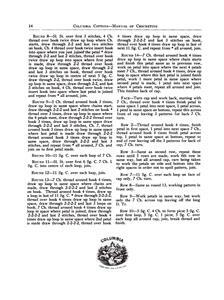 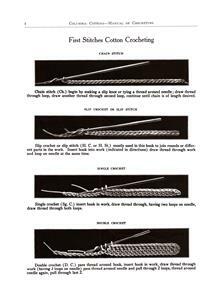 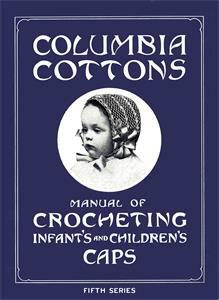 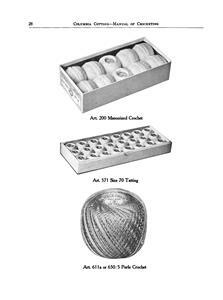 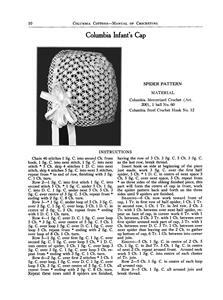 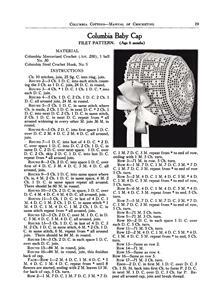 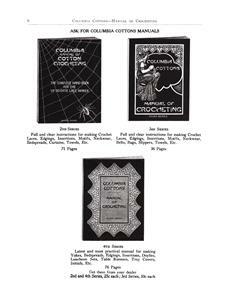 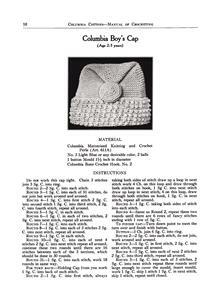 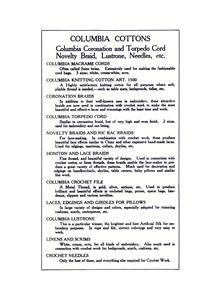 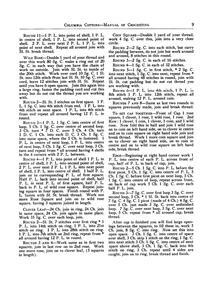 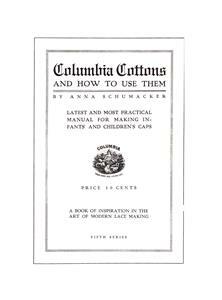 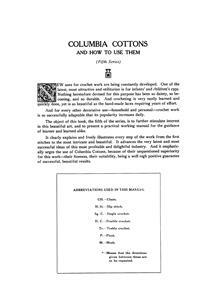 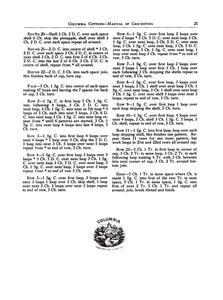 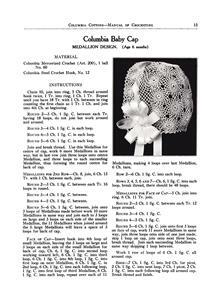 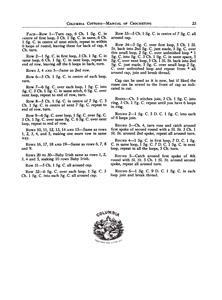 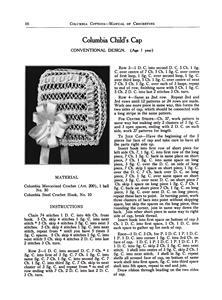 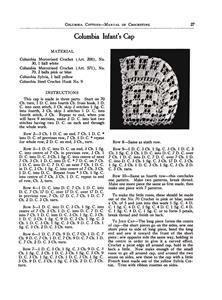 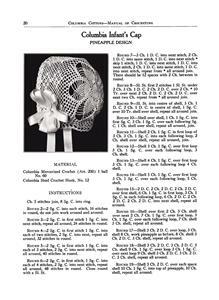 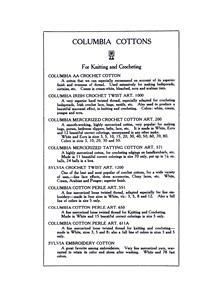 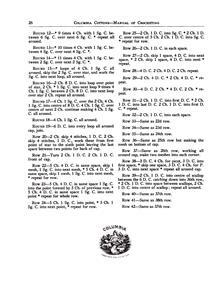 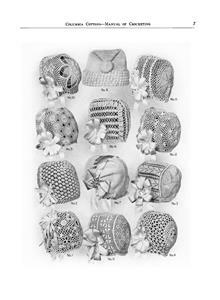 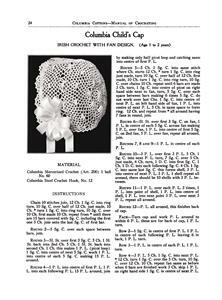 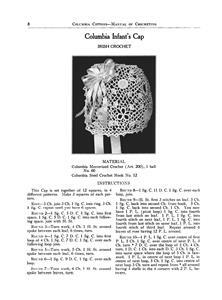 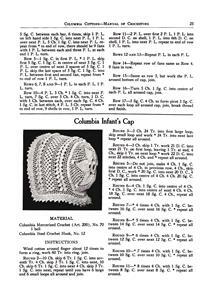 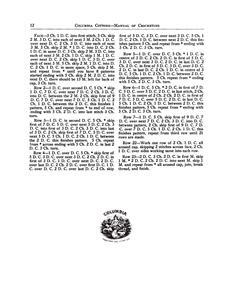 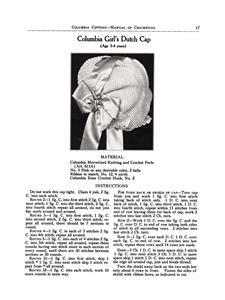 Columbia Cottons and How to Use Them, Latest and most practical manual for making infant's and children's caps. 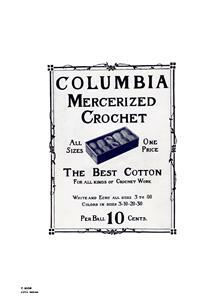 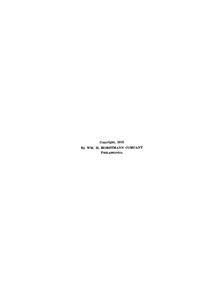 Price 10 cents. 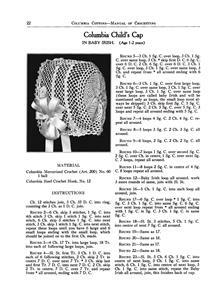 A book of inspiration in the art of modern lace making. 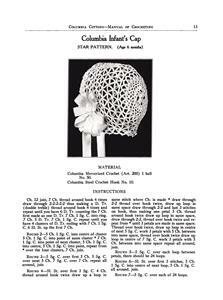 28 pages, 12 models. 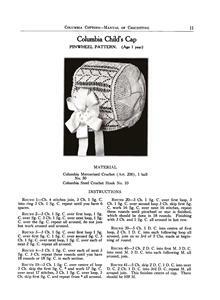 Scans donated by Sandra Bejster, edited by Sytske Wijnsma.